FC Barcelona host Athletic Club for Week 21 of La Liga on Saturday (4.15pm CET) with the sole objective being to gain another three points to put pressure on leaders Real Madrid. Luis Enrique’s men were only able to get a draw from their last league outing against Real Betis and will be eager to put things right when the Basques come to town. Although Sergio Busquets, Andrés Iniesta and Lucas Digne are all well on the road to recovery, none of the trio have been deemed ready to return to action quite yet, while goalkeeper Jordi Masip has also been left out. Athletic are without goalkeeper Kepa who suffered a serious knee injury at the start of the year while Sabin Merino and Xabier Etxeita missed the last match and could be unavailable for the visit to Camp Nou. Barça go into the game in high spirits on the back of a 2-1 win over Atlético Madrid in the first leg of the Copa del Rey semi-finals. However, due to the 1-1 draw at Real Betis in the last league match, three points will be absolutely vital against Athletic as Luis Enrique’s men pursue leaders Real Madrid. Athletic Club are unbeaten in their last five league games, though three of those were draws. Valverde’s side had to dig deep to earn three points last week, coming from a goal down to beat Sporting Gijón 2-1 at San Mamés with goals from Iker Muniain and Aritz Aduriz to remain seventh in the league. Barça have an excellent recent record against Athletic, having won ten out of the last 13 matches in all competitions. You would have to go back over 15 years, to precisely 24 November 2001, to find the last time Athletic Club left the Camp Nou with three points with Santi Ezquerro, who would later sign for Barça, scoring the winning goal. 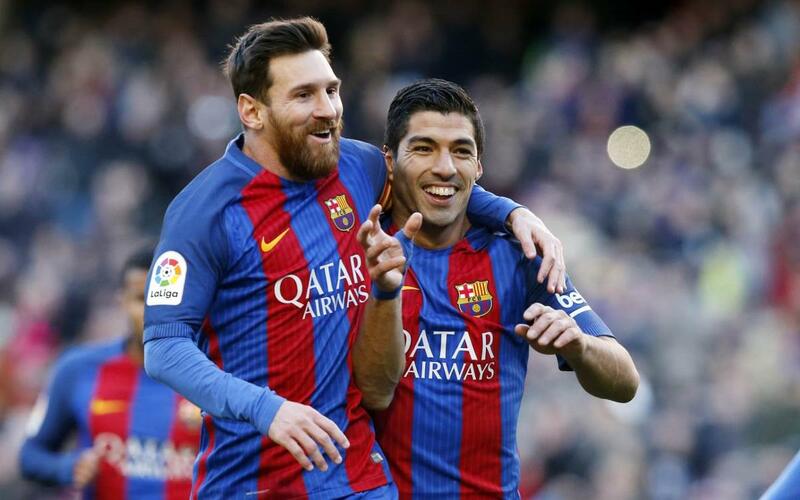 The pair have already met twice in 2017, in the Copa del Rey Round of 16 – Barça lost the first leg 2-1 away but bounced back with a 3-1 win at home which saw them through to the quarter-finals.